Over the past few months, most of the news from the hotel industry has concerned this or that promotion designed to help this or that hotel chain fill its empty rooms. As I mentioned in my recent review of [% 3573190 | | InterContinental’s %] latest bonus, these offers have become so pervasive, and have been in place for so long, they barely register on the excite-o-meter. So it’s a relief to turn my attention from such short-term marketing tactics to a permanent program change that has the potential to provide more value over the long term. With the newly launched Flights Anywhere option, members of InterContinental’s Priority Club Rewards program can now redeem their points, or a combination of points and cash, for flights on more than 400 airlines. These are revenue tickets, purchased by Priority Club on the member’s behalf, so there are no capacity controls or blackout dates. And the flights earn frequent flyer miles. Good. 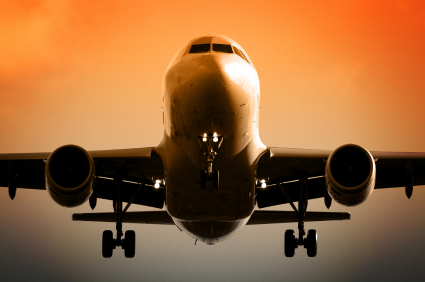 The Flights Anywhere booking application is simple and straightforward. Enter your origin and destination, and your travel dates, and the app delivers a list of flights that meet your criteria. Except that, instead of being priced in dollars, the tickets are priced in points. Again, good. The most important test of the new award option, though, is its real-world value. In particular, how much are your Priority Club Rewards points worth when redeemed for airline tickets? To find out, I made several test reservations through Flights Anywhere, comparing the prices in points with the dollar prices shown for the same flights using the Expedia booking app. So, for example, a JetBlue ticket priced at $259 would require 77,000 Priority Club Rewards points. Points consistently were valued between $.0031 and $.0034, so around a third of a cent each. That’s not good. You’ll generally get significantly better value redeeming points for free room nights. Free nights at a Holiday Inn, Crowne Plaza, or Hotel Indigo hotel are priced at 25,000 points. Let’s say that the room rates at those brands average $175. That means points are worth $.007 (seven-tenths of a cent), more than twice the value of a point redeemed through Flights Anywhere. Bottom line: While this isn’t a compelling value proposition, it does add an extra dimension of flexibility to the Priority Club Rewards program.